INDUSTRY.co.id - Jakarta - Changes in eating patterns during Ramadan make us tend to eat more portion than usual when breaking the fast. Whereas the daily caloric needs of the body when fasting remains the same as the needs of calories when not fasting. In addition to attention to caloric needs, it is important to pay attention to the intake of nutrients to stay fit and remain productive during fasting. Start-up in the form of health applications from Indonesia, Halodoc provides preventive and curative health services by utilizing technology in hand with the #PuasaSehat program. Through this program, Halodoc presents nutritionist doctors to the list of doctors who can receive consultations. 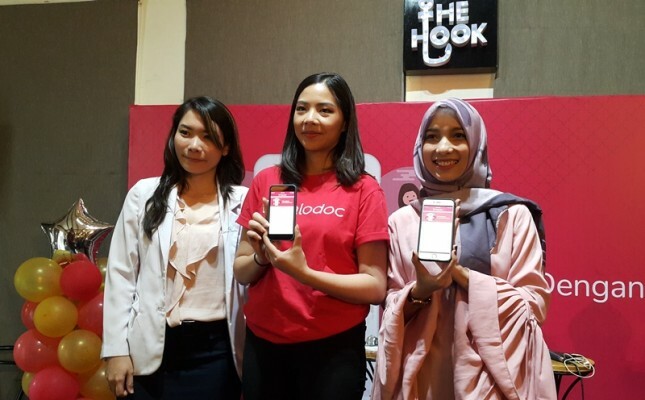 "In addition to consulting a physician with a nutritionist, Halodoc users can use the contact doctor feature to get healthy tips when fasting," said Felicia Kawilarang, VP Marketing Communications Halodoc during a press conference this afternoon (4/5) in The Hook, Jakarta. Not only that, Halodoc also presents 100 doctors to facilitate consultation during Ramadan until the Eid al-Fitr. "The need of course must be adjusted to the activity and weight of a person, so that the body fit and remain productive during fasting, not recommended to reduce or add calorie intake," said dr. Jovita Amelia, a clinical nutrition specialist who also serves a Halodoc consultancy, at the same venue. Meanwhile, the #PuasaSehat program is one of Halodoc's commitments to help improve the health of Indonesian people by utilizing technology. "Specifically, Halodoc hopes to help Indonesians, especially Muslims, to perform fasting fast and stay fit in preparing for Hari Raya," concluded Felicia.